I have that same exact fan, except the stator is bad on mine, it has a short in it somewhere. It was made by Signal Electric Company of Menominee, Michigan (which was formerly Menominee Electric Manufacturing Company, of Menominee, Michigan). 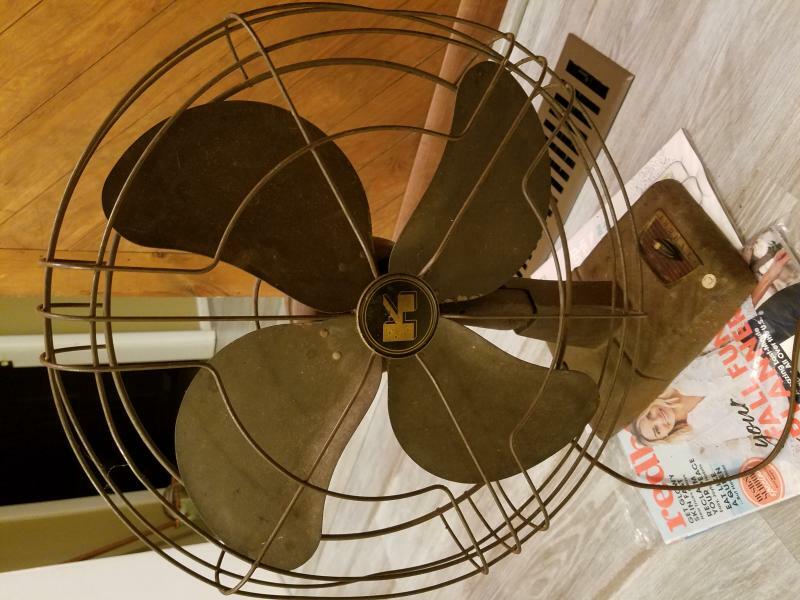 The fan dates to about 1955, and when its in working order its a very nice fan that moves tons of air. Its a 16" 3 speed oscillating desk fan that was actually a fairly high end model for its day. Thanks for that info! It does work and like you said....it moves lots of air! I had done a little looking online and figured that it probably was a 50's model. Page processed in 0.2968 seconds (57% database + 43% PHP). 28 queries executed.